- a Mournfang Pack, made up of 4 ogors riding fearsome Mournfangs wielding a selection of ironlock pistols, culling clubs and prey hackers. 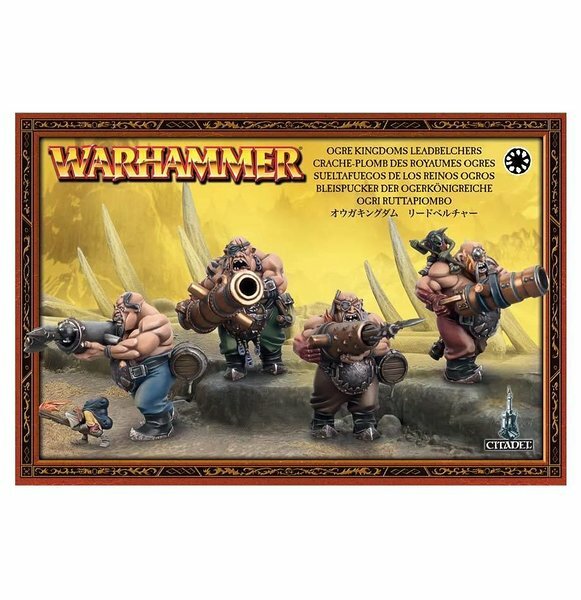 Included in the box is an exclusive Warscroll Battalion rules sheet – Loshar's Frost Guard – allowing you to collect, assemble and play with your new miniatures right away! 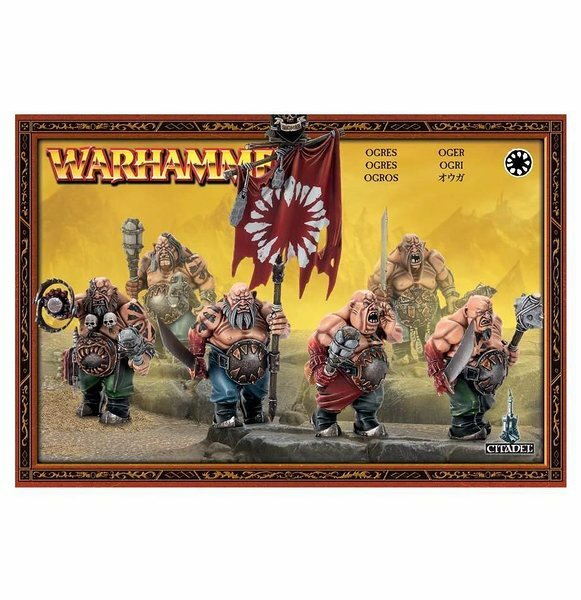 This multi-part plastic set can be used to make 6 Ogres. This multi-part plastic set contains 107 components with which to build four Leadbelchers armed with Leadbelcher guns. 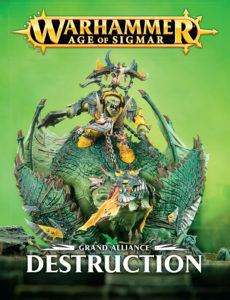 The set comes with plenty of optional extras including powder Grots and plenty of spiky ammunition to ram into the cannons. 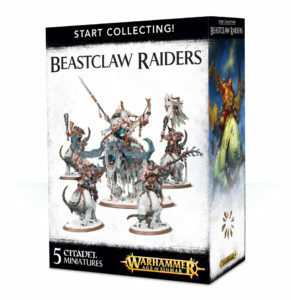 These models are supplied with four 40mm square bases and they are supplied unpainted and require assembly - we recommend using Citadel Plastic Glue and Citadel Paints.